Thomas Thornewill (senior) was baptised in Burton Parish Church on 4th October 1719, the son of Thomas and Elizabeth Thornewill. The Thornewill firm dates back to at least 1732 making iron goods. Thomas Thornewill (junior) was apprenticed in that year, at the age of thirteen. Thomas Thornewill (senior) married Elizabeth Astle on 20th October 1746. She was the widow of Francis Astle, a noted local feltmaker and hatter who had died in 1735. He had left most of his properties to his wife Elizabeth (by a will of 20th May 1735), including a freehold house, on the south side of New Street. 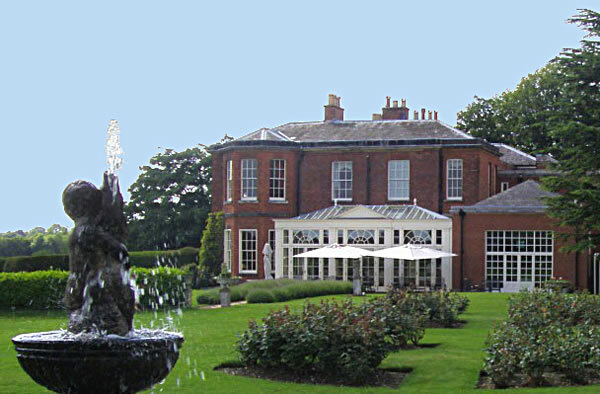 She was to have the use of this house for the remainder of her life, and it was then to be sold by Astle’s executors, Thomas Towndrow (gentleman) and John Downes (feltmaker), and the proceeds invested in land worth £5 a year to provide clothing for four poor boys of Richard Allsop’s Charity School in Burton. Thomas Thornewill of Burton, now listed as ‘Edge Tool maker’ settled the property and its contents to Elizabeth, so that if he died they would pass to her. In 1751, Thomas leased a garden adjoining his freehold property on its eastern side, from William Jordon (cooper) for an annual rent of six shillings. This is significant in that it was the first move towards an expansion of the Thornewill property between New Street and Park Street (which was then known as Pinfold Lane). Elizabeth, Thomas Thornewill’s wife, died in 1755 and it became the duty of Francis Astle’s executors to dispose of the freehold property in accordance with his will. The freehold property was advertised for sale in the “Derby Mercury”. Thomas Thornewill of Burton and his brother Francis of Clay Mills, both now listed as ‘Edge Tool Makers’ purchased the freehold property in New Street from Thomas Towndrow, the surviving executor or trustee of Francis Astle, for the sum of £140. By 1760 the Thornewill brothers had established a small business there still making edge tools such as axes, knives and spades. From this time on they began to systematically expand their property in New Street whenever the chance arose. It was not however, their only business interest. A reference to Clay Mills in a 1760 indenture shows that the Thornewills were already in possession of the Forge Mill there. This was sited on the Mill Fleam, a watercourse branching from the River Dove, on or near the site of an old water corn mill. The exact dates when the Thornewills leased the mill and opened the forge are not known, but were probably around the year 1740. Water power was needed for working the bellows and hammers in the forge and also to operate rolling and slitting mill. The forge usually consisted of a “finery” in which the iron was hammered into blooms and a “chafery” in which the blooms were reheated and beaten into bars. In the rolling and slitting mills the iron was rolled into sheets and then cut into rods ready for the nailers. The Thornewill’s forge may not have had rolling and slitting mills attached in 1760, but it certainly had in 1807 when they purchased the premises outright. In 1760 about 25,000 tons of iron were imported annually into England (approximately 50% of the requirements) mainly from Russia and Sweden. The Thornewills used this imported iron, which they purchased from the Burton brewers of the time, such as Benjamin Wilson, John Walker Wilson and Samuel Sketchley. 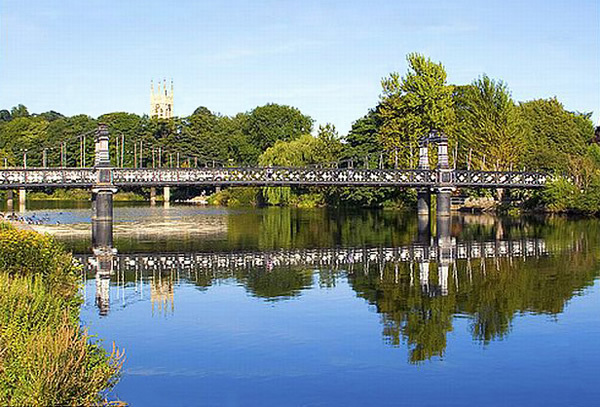 The brewers normally accepted some iron, flan or timber as part payment for the beer that they exported along the Trent to the Baltic countries. Thomas Thornewill (ironmonger and spademaker) leased the White Hart Inn in High Street from the Earl of Uxbridge on 23rd September 1769. Later in the year, he sub-let a house and garden on the north side of New Street (which he previously leased from the Earl of Uxbridge) to John Shorthose (turner). In a property lease of 1770 John Shorthose is described as a spademaker and was an employee at the Thornewill works in New Street. In March 1772, Thomas and Francis Thornewill leased from the Earl of Uxbridge, two further tenements and a garden to the east of their freehold property, and also a property to the west. Ever expanding, Thomas also leased land at Stretton, including some waste land near the forge. By 1778 the Thornewill’s business had grown considerably. They were in possession of extensive properties in Burton, particularly in New Street, and at Clay Mills, Stretton. They were purchasing large quantities of imported iron, (for example, in August, 1778 Thomas Thornewill bought 658 iron bars imported by John Walker Wilson from St. Petersburg, Russia, for £273 7 6) and were manufacturing considerable quantities of spades, iron hoops, iron plate and other forms of hardware. They were probably the main suppliers of iron hoops to the Burton brewers of the time, and this was no doubt the way in which the firm developed as brewery engineers. At the beginning of 1784, Thomas Thornewill made his will, and in this he left his leasehold properties to his daughter Sarah Spiers. After Thomas’s death Sarah sold the property lying to the east of the freehold property, to George Wood for £125, and it was not until 1834 that the Thornewills were able to buy it back from George’s son William. The Wood family, together with William Shorthose, Philip Port and William Smith were also, at this time, eager to acquire land on the south side of New Street, where they operated (approximately 1775 1835) a large screw making works. No doubt the Thornewills supplied this firm with iron. Thomas Thornewill (senior) died in 1786 and the firm came under the management of Thomas, his son, and Francis, his brother. In the same vein as his father, in 1801, Thomas Thornewill leased two more properties on the South side of New Street. Francis Thornewill made his will in 1805 which showed that he was a man of considerable wealth. He left the bulk of his estate to his sons, John and Francis, but he was still able to leave £500 to his daughter Anne; and £200 to his grand daughter Anne Neal. He died just 2 years later in 1807 having done much to build up the business. He had also been one of the Townmasters in 1792 and was a Feoffee in 1794. (a) “Cliffcroft” 7 acres of land containing Dove Cliff House, that was built for him about 1700, gardens, plantations, pleasure grounds, etc. (b) Clay Mill forge with “all those iron works and all the slitting mills, forges, warehouses, buildings and works belonging thereto”. (c) A warehouse and tenement near the Grand Trunk Canal in Stretton. The Grand Trunk Canal had been opened in 1770 and was a considerable improvement on the Trent navigation. By 1811, Thornewill’s were operating a forge at Wichnor as well as at Clay Mills. At the latter there was also a foundry and an iron casting house. J. & F. Thornewill spade manufactures. John Thornewill & Co. merchants. Although not listed in the Directory, Thornewill & Co. also held the forge at Stretton (Clay Mills) and William Gretton was the iron master there. At the time, there were also recorded living in the area around the works an iron founder, a foundry man, three spade makers, end three nailers, in addition to six patten ring makers and fourteen screw forgers who worked at the nearby screw mill. John & Francis Thornewill Iron and brass founders and spade manufacturers. John Thornewill & Son Iron Merchants. In 1835/36 the leases for the New Street properties were successfully renewed. By 1837, most of these premises together with the freehold property were in the possession of Robert, John and Francis who were now running the business. To Mary, his daughter £3,600. To Ann Fenwick (daughter) £3,700. To Frances Hewitt (daughter) £1,000 q + £2,700 in trust. Residue from the sale of two farms at Yoxall and Hadley End, and other estates; personal effects; and Dove Cliff House, together with the nearby forges, workmen’s houses furnaces rolling and slitting mills, watercourses, weirs, fisheries, and adjoining lands, all to pass to Edward, his son. During 1839, the New Street premises were further extended and the firm constructed a number of new buildings on its existing land. A large area of land extending to Pinfold Lane was also purchased by Robert Thornewill from Thomas Lambert and in 1840, the date above a new archway marked the alterations. A large two storied building was built in 1845. Mr. William Jones, the tenant of the neighbouring property, wrote a letter to Robert Thornewill complaining about the number of windows in the upper storey of the new building. On 1st Feb 1847, Robert Thornewill purchased the leasehold premises, to the west of the freehold property, from Thomas Cooper. These very old premises had, for the previous one hundred and fifty years been used by Francis Astle, Thomas Cooper and others, as a hat factory. At a later date the houses were demolished or extensively modified to form the present offices. Robert Thornewill purchased a piece of land adjoining the west side of the works in Park Street from William Wood in 1852. This meant that the site now occupied a complete 2 acre plot of land between New Street and Park Street. It was probably about this time also that the business changed considerably in the types of goods that it produced. From its beginning to about 1845 it was little more than a hardware firm making iron, copper, and brass goods for use locally, particularly in the Burton breweries. From 1845 onwards it became an engineering firm in the true sense, and it is significant that Bagshaw, in his Directory of Derbyshire of 1846, lists the firm of Robert Thornewill of New Street iron and brass founders and steam engine makers. These early engines were probably sold mainly to local collieries and breweries. The 1851 White Directory of Staffordshire, stated that Thornewill and Warham Iron foundry and Engine and Machine Works in New street “employs 75 men and 25 boys”. He also mentioned that Thornewill & Co. had an ironworks at Clay Mills, and that Edward Thornewill lived at Dovecliff House, Rolleston. Robert Thornewill (senior) died in 1858 and his share of the business passed to his wife Martha Hammond Thornewill (neé Wright), in accordance with his Will of 20th Feb 1856. By this time the firm was producing approximately fifteen to twenty steam engines annually. These consisted of pumping, haulage and winding engines and tank locomotives which were sold mainly to collieries in Derbyshire, Leicestershire, Staffordshire and Warwickshire. 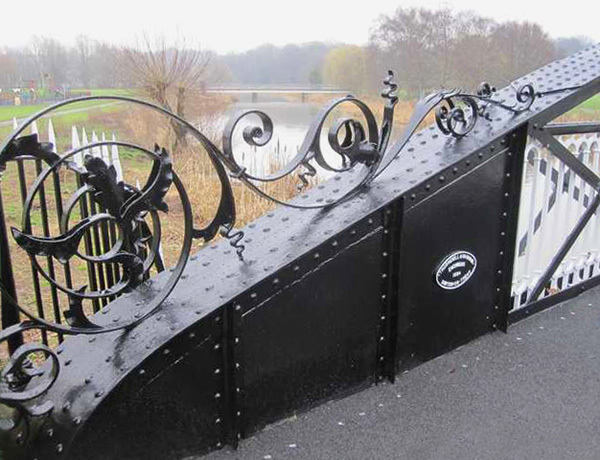 A few were sold to Burton breweries and to ironworks and lead mining companies in the Midlands. On 25th November 1868, the partnership of M. H. Thornewill and J. R. Warham was dissolved to allow Robert Thornewill pictured above (son of Robert Thornewill (senior) who had died in 1858) to enter. At this time the property, stock and other assets of the firm were valued at £43,048 1 6 of which M. H. Thornewill held £27,720 15 7 and John Robson Warham £15,327 5 11. Under the new partnership agreement J. R. Warham was to control 6/12ths, M. H. Thornewill 5/12ths, and R. Thornewill 1/12th of a total capital of £44,000. At the end of 1878, Thornewill and Warham purchased a piece of land with a number of properties, on the corner of Lichfield Street and Park Street, from Frederick Gretton, a brewer of Burton, for £2,500. It adjoined John Bell’s brewery on its north east side. In 1879 some of this land was sold to the Midland Railway Co., who built a line through Thornewill and Warham’s premises from the south side of Station Street to the Bond End Railway. Two years later, in 1880, Thornewill and Warham purchased property on the south side of New Street, to the west of their own premises, from the Trustees of G. R. Bircher. This consisted of premises fronting New Street, originally an inn known as the Old Queen’s Head, and 423 sq. yds. of ground to the rear. 1886 Two pumping engine for a sewage works at Buenos Aires, Argentina. 1889 Two engines for pumping and winding to the Taeping Colliery Co. in China. 1897 Pumping engine for a Gold Mining Syndicate in British Guiana. 1902 Winding engine sent to the Rajah of Sarawak in Borneo. Not only did Thornewill and Warham considerably expand the extent of their market, they also greatly extended the range of their manufactures. By 1880 they were producing a full range of brewery equipment, including various types of refrigerators, and indeed were capable of producing all types of machinery and metal goods. On 26th March 1886, J.R. Warham died, leaving his share of the business to his wife, Anne Jane Warham of Birmingham, and to his son, William Warham (gentleman) of Seaham Harbour, Co. Durham. M.H. and Robert Thornewill purchased these shares and thus the business became an entirely family concern again after a break of 37 years. 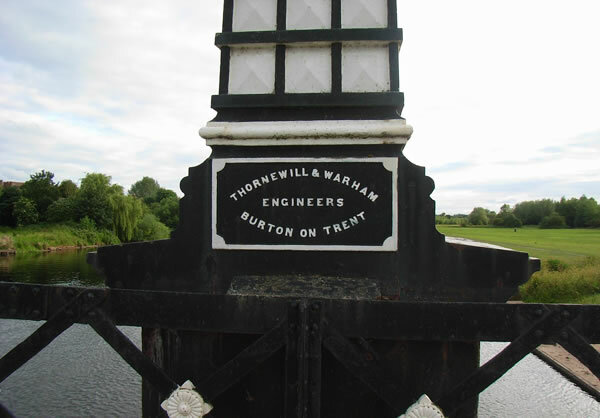 In 1889, Thornewill and Warham made the contribution to Burton for which they are best known… having built the Andresey Bridge by special commission, they were commissioned by Michael Arthur Bass (later to become Lord Burton) to build the Ferry Bridge. The Ferry Bridge was opened on 3rd April 1889, and the viaduct linking it to Bond End added a little later at the total cost of just over £10,000. A few weeks later on 24th April 1889 Martha Hammond Thornewill died, and her share of the business passed equally to her three sons, Rev. Charles Francis, Robert and Arthur, in accordance with her will of 1st Feb 1889. 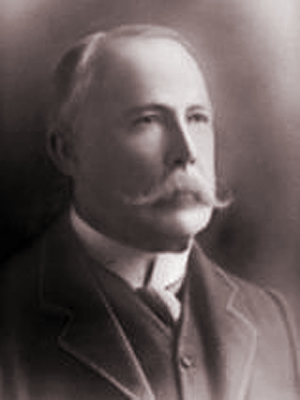 Charles Francis sold his share in 1890 and Arthur his in 1893, leaving Robert in control of the business. Building works, brickworks, canal company, flour mill. dock company and woodworks 1 each. 1919 marked the end of an era when Thornewill and Warham Ltd. went into liquidation and a new company of the same name was formed. This was purchased by S. Briggs & Co. Limited which remains successful today but was moved from the New Street premises to new premises in Derby Street to make way for the Octagon Shopping Centre.